The leading man at Seckingtons, Johnny has been in the hairdressing industry for 19 years, and what a career he’s built up so far. A popular choice with the clients, with a column booked up for months in advance, Johnny believes in going that extra mile to make every single one of his guests feel special and look fantastic. Creative talent is something that runs through Johnny’s veins, with career highlights that rival even some of the biggest names. National finalist in three categories at the Aveda Pure Image Awards, Johnny spent two consecutive years representing hairdressing giants Schwarzkopf Professional as a member of their Young Artistic Team. He’s also a favourite at Hairdressers Journal’s grand exhibition Salon International, where he has presented for thousands of hairdressers and press from all over the world, got the stars ready for the BAFTAs and has even styled the runways of London Fashion Week. 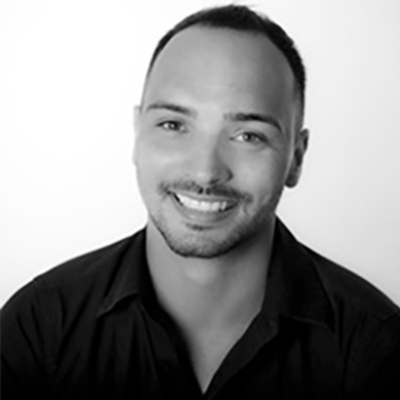 As a training champion in Northampton, Johnny is also an Aveda Styling Professional and is often found leading courses at Aveda’s training academy down in the capital. That’s not all, he’s got a head for business too! Johnny was also a finalist at the Creative Head Most Wanted Awards for their Business Thinker category, was shortlisted for Salon of the Year 1 at Hairdressers Journal’s British Hairdressing Business Awards and won the Training Awards as well being crowned Overall Winner at the SME Northamptonshire Business Awards 2016. Our guests love Johnny’s infectious passion for all things hair and trust us, he never fails to deliver beautiful results.